Recently I took a quick trip to Florida to visit Ashley and enjoy a few baby-free days at the most Magical Place on Earth. When traveling, you don't always have time to head back to your hotel room to shower and change before hitting the streets. 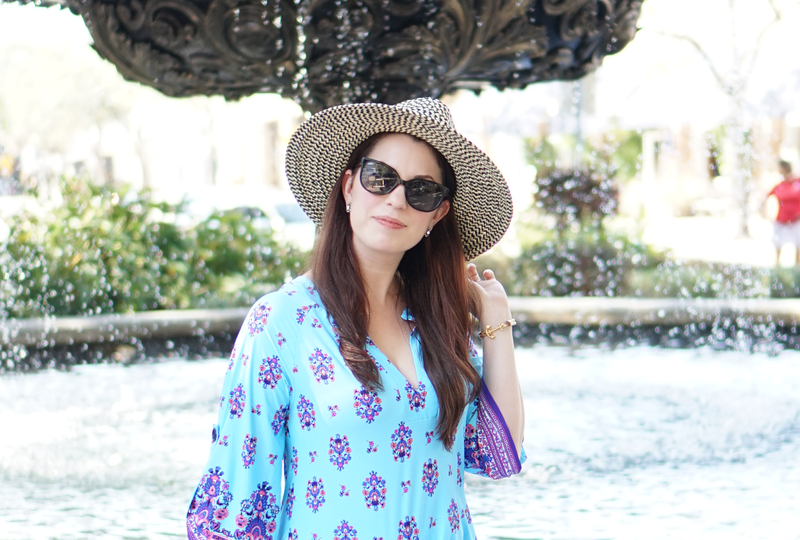 I was so pleased when I found this Nanette Lepore tunic. As soon as I tried it on, I knew it would be perfect to wear for traveling from New York to Florida. Getting on the plane, I paired it with leggings, a cropped jacket and sneakers. I ditched the leggings and jacket as soon as we landed and traded the sneakers for a pair of pink Kate Spade wicker wedges. The material stays fairly wrinkle free, meaning that it looks great even after a three hour flight. A quick spritz of wrinkle release and it looked like it had come right off the hanger. I'm a bit of a Nanette Lepore fangirl, everything I've ever purchased from her has been high quality material, well made, and flattering. This tunic is made from a heavy swim suit-like material, making it perfect for a walking around in the Florida heat and humidity...also, because let's be real here, no sweat stains. It drapes beautifully, and while it's a little shorter than what my conservative self usually wears, I figured the fact that it was past my fingertips meant it was socially acceptable. Honestly, it has been difficult to find clothes I feel good in post baby, so finding a tunic was adorable, well made, and flattering was basically like winning the lottery. 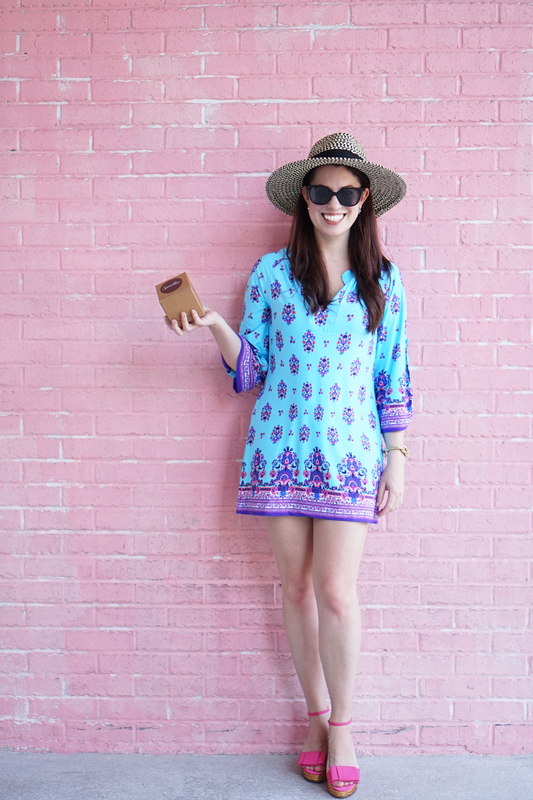 Oh, and the best part about this tunic is that it's on sale!